Being a female business owner is hard. Everything is usually done by you. You have your hand in every area in your business. From customer service to financial management and marketing, everything needs to be supervised by you. What if the responsibility you took could be divided among other women business owners? I know it feels like sharing your throne with someone else but this will have a lot of benefits. In this article, I’ll try to explain why women entrepreneurs should be each other’s strength. I know it becomes a habit having so much responsibility on your hands but when the responsibilities are divided magic takes place. Getting affiliated with woman business owners might become the best decision of your life. If the business is extended or merged with relevant businesses it will create new opportunities. When support is given by both of the owners to each other’s company a lot of benefits is made. 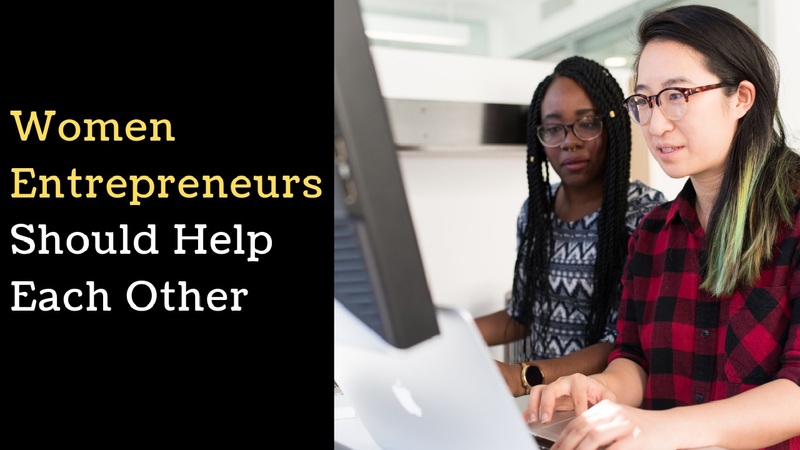 In order to find your business partner, you’ll need to participate in organizations which bring women entrepreneurs together. Conferences are the best place to find empowered certified businesswomen. By getting the most out of networking opportunities with other women business owners you can make valuable relationships which you’ll cherish forever. For a scenario, you can find your new employee. In events like these woman business owners might help you out on the new recruits to fill in the new positions. One very important thing to do is to give job opportunities to other women. It is pretty obvious that a few women helped you to get to the position you are in today, so why not repay them by employing them at your small business. Having a mentor is very essential for new business owners. They help you in shaping up your business. For example, they can help you in writing your business plan, they can suggest new marketing strategies and they can also help you out on making the right decision for your company. Every entrepreneur is forever grateful to their mentors for their business’s success. For this reason, networking with other woman business owners can help you find mentors who will surely benefit your business. While finding your mentor you can be someone’s mentor too. The new business owner can aspire to be you. Like said before it is rewarding to help other women in business for your company’s betterment. When in business it is very important to take in ideas from knowledgeable professionals. Sometimes getting feedback from the outer perspective can help you improve your business practices. For example, you can ask other woman business owners about their ideas about new marketing campaigns, they can also help you to give feedback on your business plan and they can also show you you’re lacking so that you can improve your tactics. By getting this exterior feedback you could really improve your business with the help of other women business owners. It is obvious that you have struggled while finding your right supplier related to your industry, for example, finding the right internet service provider or finding the right financial advisor. When in indecision turn to other women entrepreneurs who can provide suggestions. You and other women in business can help out on decisions like these. This helps the business because it cuts down on a lot of research work. When woman entrepreneurs help each other by giving suggestions they are usually very beneficial. To be exact some of the suggestions can only be given by the women entrepreneurs. The woman business owner’s recommendation might be the only thing you need to improve your business. Great friendships can be made with these female business owners. There will be a lot in common with the other women business owners. You can bond over the difficulties and successes of your business. What can be better than making new friends and benefiting your own business? Amazing things happen when women business owners empower each other. These connections will help the female business owners to flourish in their business. When these professional relationships turn into life-long friendship there is nothing but improvement. The professional female friends you make in this time will be there to share your losses and to enjoy your success. So these friendships will always be cherished. So making female business owner friends is very important for the victory of your business.